Improvements to water systems are almost exclusively focused on major urban centers. There is an estimated $1.5 trillion up for grabs in the Infrastructure-Spending Bill currently being debated in Congress. Of the 16 sectors deemed “critical” by the Department of Homeland Security, only two — water and wastewater systems along with food and agriculture — cover basic human necessities. For the past decade, though, water and food have fallen further down the list of priorities when the time comes to write checks. Unless you live in a large city or affluent neighborhood, that is. Larger population centers typically receive a bigger share of the state funds, which on the surface seems logical. But that is not where the majority of water utilities are located. “Small” (serving 10,000 people or fewer) and “very small” (serving 500 people or fewer) water systems account for 97 percent of the total water utilities in the U.S, according to the Environmental Protection Agency. And that’s exactly where the problems are. “Very small” water systems account for more than 55 percent of U.S. health-based violations, according to 2016 data from the EPA. Texas and California have the highest number of “very small” system violations, mostly in rural areas. In other words, if you live in a low-population area, your chances of having clean water are already low. Federal expenditure for water and wastewater utilities grew consistently until 2010, but has been in steady decline ever since. As a result, state and local authorities are bearing most of the burden for water infrastructure maintenance. According to the American Society of Civil Engineers (ASCE), the U.S. water distribution system loses nearly 15 percent of its treated water each day because of leaky, old pipes. 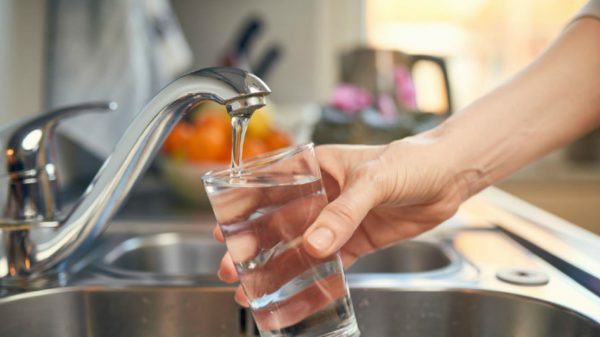 Our aging water infrastructure also causes significant contamination through metal release and bacteria and, according to the ASCE, we would need about 200 years to replace the distribution pipelines and to address the water safety at our taps. Political debate about how to overcome the infrastructural challenges remains too focused on achieving greater “economies of scale,” as was suggested by a 2017 Infrastructure Report Card from the ASCE. This proposal — which suggests financing infrastructural improvements through a reinvigoration of state funds, the establishment of a Federal Water Infrastructure Trust, and private funding — has gained increasing political currency on Capitol Hill. But the plan is flawed. Economies of scale will not improve conditions for those reliant on “small” and “very small” water systems. Achieving greater efficiencies using this approach, by definition, means focusing on the biggest water supply systems serving the largest communities at the expense of everyone else. We tend to think of “infrastructure” as exclusively about building and/or developing large-scale projects over the long term. It doesn’t have to be this way. Infrastructure expenditure can also include interventions at the “small scale.” While a complete overhaul of the national water supply systems would take too long and cost too much, there are other cheap and easy “point of use” solutions that would greatly improve quality of life for millions of Americans immediately. An example would be for the government to provide water filters directly to individual households where high levels of arsenic have been detected. We spend millions each year for the EPA to conduct wide-scale water quality measurements, providing masses of data — that no one acts upon. But apparent contradictions flow freely in our water supply story. Even using terms like “small” and “very small” for water systems that, taken together, supply more than 25 million people seems misleading, if not oxymoronic. But perhaps the biggest paradox of them all must be how one of the world’s most developed nations could deny millions of people the basic human right to clean water. Navid B. Saleh is an associate professor of civil, architectural and environmental engineering in the Cockrell School of Engineering at The University of Texas at Austin.